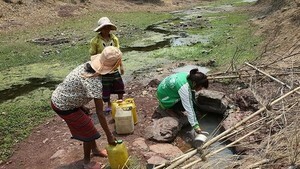 A several day non-stop rain inundated 38 schools, 18 markets and 15 office buildings in 478 villages of Da Nang city. 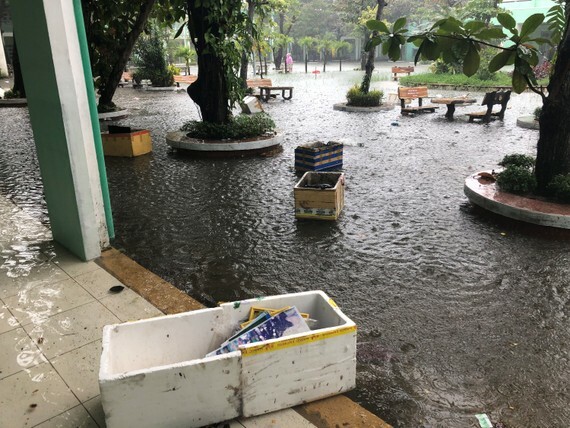 After the historical record downpour, healthcare agencies of Da Nang city and local authorities have established working groups to control infectious diseases through praying chemicals in the flooding- affected areas. Natural disasters could result in outbreaks of infectious diseases such as digestive disease, hand- foot- mouth disease, dermatological disease, red eyes disease and dengue fever; therefore people are recommended to have necessary measures against the infectious diseases. Besides, people should actively clean environment where mosquitoes can lay eggs.